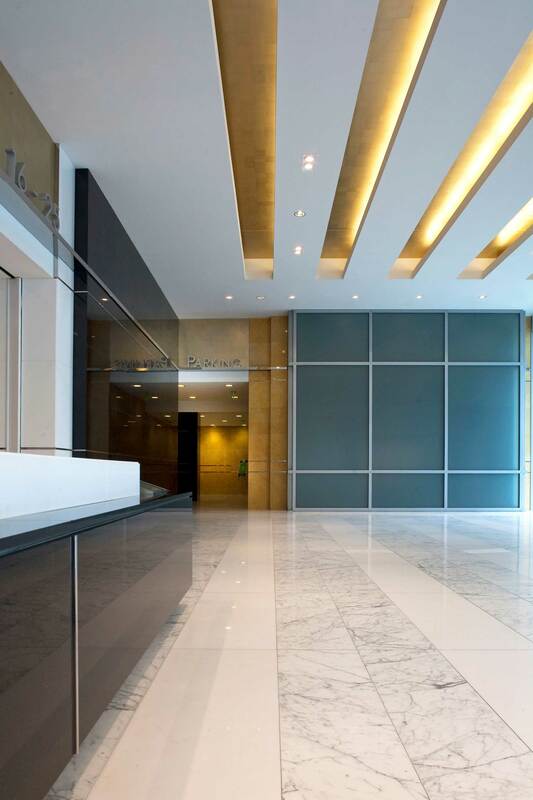 This linear lobby, located in a LEED Gold Certified, Class A office tower, is a study in mixed metals and polished stone. Mixed Metals : polished stainless steel bands, woven steel, brass & copper metal panels. 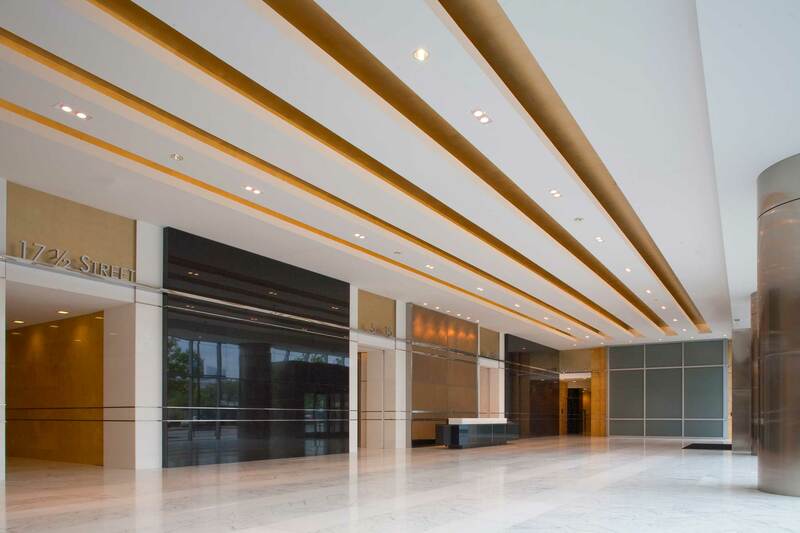 The ceiling plan is accentuated by linear, recessed, coffers finished in illuminated gold leaf. The ceiling bands reflect the matching marble stripes of the floor pattern. Full Height marble and granite stone walls are visually tied together with horizontal bands of polished stainless steel. 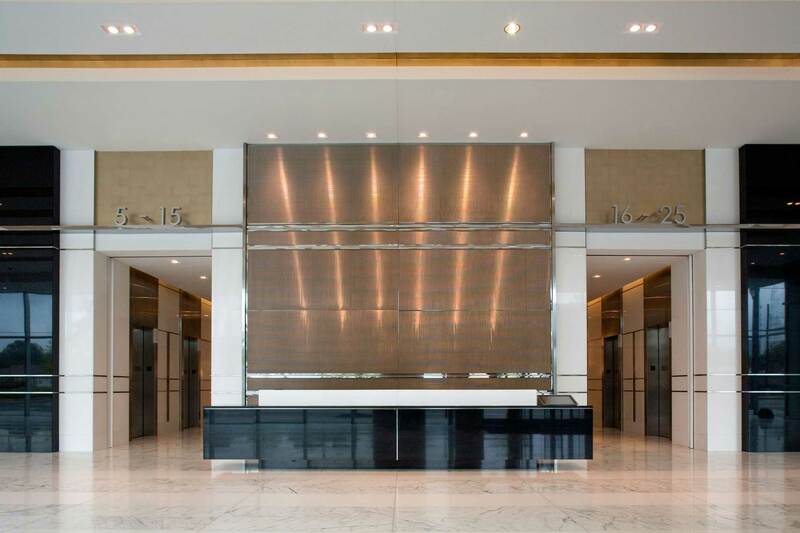 Central to the lobby, a “floating” polished black granite desk, is located in front of full height woven metal panels. The wall panels are framed in polished stainless steel. 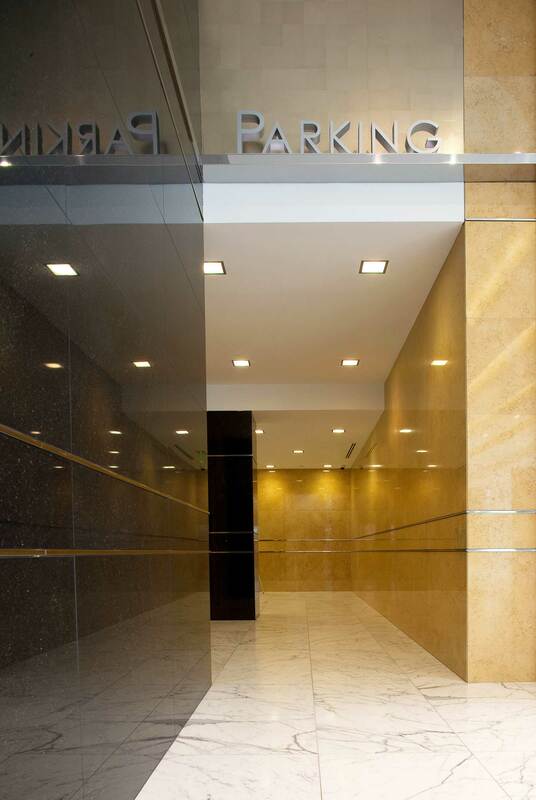 These metal panels also used in the Elevator Lobbies and Cabs, for their refined appearance and durability. Thassos White Marble portals announce the Elevator Lobby entries. The marble walls extend into the Elevator Lobby and Cabs. White Carrara marble flooring continues into both spaces. 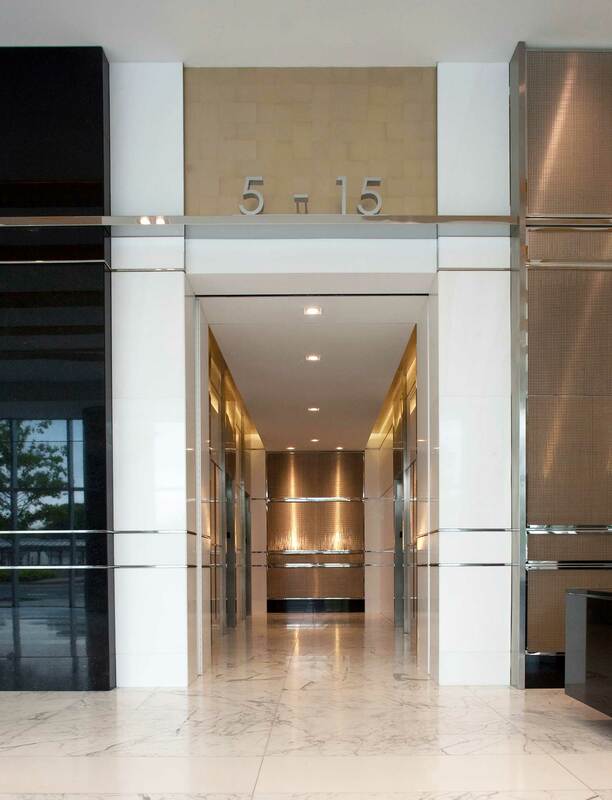 Within walking distance to great restaurants, shopping and the bustling midtown arts district, this lobby is a refined addition to its urban context.